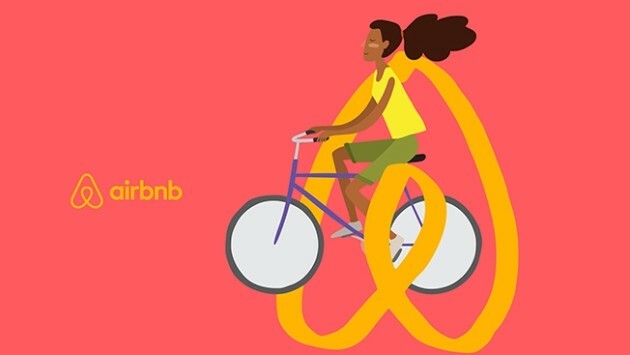 A new brand identity will not resolve issues with local government taxes or quarrels between landlords and what their tenants are doing by sub-renting their properties, but the new Airbnb logo and identity is a confident step in the maturing of the brand. The approach to the new Airbnb logo and identity is a refreshing change from the previous word mark, and the brand now has a new tool in its brand armory to build awareness, differentiate and communicate the brand’s passion. Looking at other brands in the digital realm – eBay, Yahoo, Facebook, Vimeo, Flickr, Skype, these all feature word marks and lack any real strong idea, personality or warmth to their brand identity (apart form Yahoo with an exclamation mark – says it all!). The launch of the brand has also been widely accepted, due to the fact that the brand is moving forward in a positive manner, and they have not tried to use the brand evolution as the only story. Brands reviewing their identities need tangible reasons for change and enhanced brand experiences must be visible and paramount. Airbnb has also achieved this, with additional and improved services on its site. Unlike other recent controversial brand re-launches (Gap or Yahoo), Airbnb realised what they had (and what they didn’t have) and have built upon this. “Sketch it. Paint it. Put a penguin on it.